Hello everyone and welcome back to my blog! If this is your first time, I’m Ninichi and I’m a game music composer. I make music for video games as well as for film, TV, commercials etc. I also run this blog which has a host of information, articles and resources for indie game developers, filmmakers and anyone else interested in the world of games, film, music & media! If you’re hoping to develop your own game, you may be thinking about which game engine to use and if you’ve chosen which one, you’re probably wondering where to start! Unity is one of the most popular game engines around and as a game music composer (see more about me and my musicif you wish!) I’ve worked with many super talented indie game developers who I know would swear by it! I must confess, I’m not a programmer and so I can’t give you first hand advice or suggestions on how to go about creating your exciting game, but I have supported enough indie game developers to know that the road ahead may be quite a challenging one! So, given the popularity of Unity, I thought that it could be useful to help compile some awesome places online where you can learn how to use it and how to get the best out of it. We all learn in different ways and you may know of or come across other resources that could suit you better, but I hope that these offer a starting point to your (hopefully wonderful), game development journey! If you’re looking to learn Unity, it makes sense to take notice of some of the tutorials provided by Unity themselves! Check out their website for a variety of tutorials covering everything from creating 2D platformers, 3D games, survival shooters and more. Their tutorials are designed to support people just starting out through to more advanced game developers. Also check out Gamedev.tv, created by Ben Tristem, a Udemy instructor focusing on helping anyone wanting to learn about development, design and selling indie games. There you can see which courses he and his team created on Udemy and also access their gamedev community and blog for further support. This is an awesome YouTube channel dedicated to learning how to make video games. New videos are uploaded each Sunday with Brackeys explaining his code as he writes it, and there’s a wealth of information and video tutorials on everything from Unity, programming through to game design and more. This company, set up by 3 game developers offers a range of free courses covering game art, Unity, drawing and game development. The Unity Training Series is a step-by-step guide with over 50 hours of video, to learning Unity. This site offers an extensive video training library covering programming, game development, 3D design and animation, mobile app development and more. The training tools on this site aren’t free but are reasonably priced and cover a lot of ground. There’s also a community and blog for added support. Unity 3D Student offers ‘bitesize’ modules alongside various challenges to help you learn the skills required to develop a game using the Unity Game Engine. The modules are short explanation/tutorials offering some insight into the game mechanics, which you watch and learn from, and the challenges give you tasks to get you actively learning and using your newly learned skills! 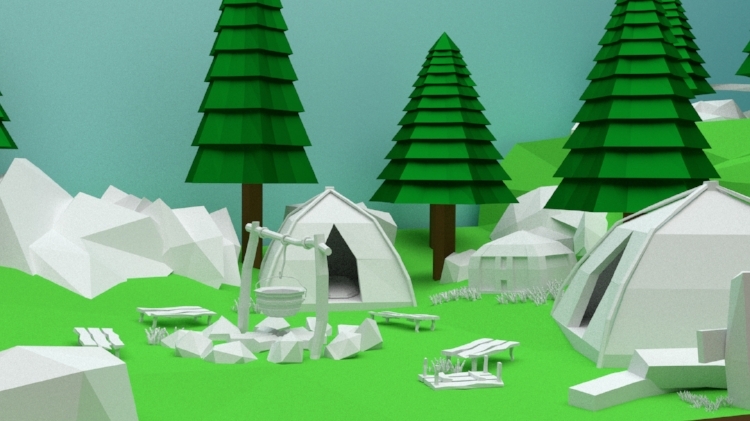 Unity3DStudent is the brainchild of Will Goldstone who’s main aim is to provide new developers with a modular way of learning. Jasper Flick, the man behind Catlike Coding is a Dutch independent softward developer. He’s written loads of tutorials, which you can find on his site designed to help you learn and make the most of Unity. The tutorials on his site are all free but you can donate to him via Patreon if you want to. Hackr.io offers a range programming courses and tutorials all in one place – from a basic introduction to programming, through to android development, Unity, artificial intelligence, blockchain programming, assembly language courses and more. This site has lots of lessons and courses to help the beginner through to intermediate game programmer. You can learn the different engines including Unity, Unreal, Game Maker and more. You won’t be able to download all the sample projects but you should have access to the final code, tutorials and written explanations to help you with your learning. Envato Tuts+ is part of the Envato empire and offers easy learning courses online. If you search for tutorials covering Unity or any other parts of game development, you will certainly find some interesting and useful courses to look out and learn from. So, I hope that these 11 wonderful sites give you something interesting to check out! Happy learning and if you need any help with music and your game music soundtrack, do drop me a line! Want some great custom music for your game? 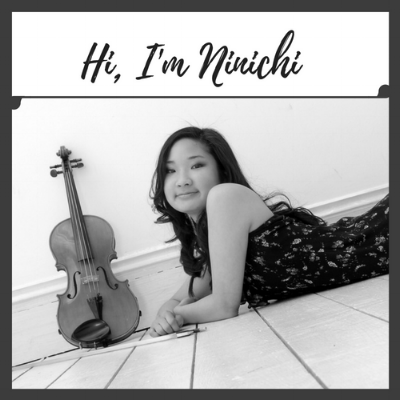 Listen to Ninichi's game music or contact her now to discuss your game music needs. Are you a game designer, game artist or indie game developer? If so, welcome to my blog! I’m Ninichi and I’m a game music composer. I make music for indie games, films, shows and anything that needs music really! I also run this blog on my website, which tries to offer a place for people to learn, get inspired, share experiences, get tips and much much more. Who are you and how long have you been involved in game art and game design? What top tips can you share with fellow game artists and game developers? ‘1. Your work is not going to look good to you - you’re going to think it looks bad and that’s never going to change. However, don’t give up, keep pushing and working and it will get better. We as artists and developers are too critical of our own work. This can be a good thing and a bad thing, just don’t let it get you down. Never give up and you have already succeeded. 2. Theory is important - what separates good artists and developers from bad ones is their extensive understanding of art theory. This is things such as light and perspective and anatomy. You can keep working and ignore these and you will get better, however you will always be held back from the great artists. Art is technical, study is required too, just like any other field. 3. There is no such thing as talent. This is a big one. Far too many people have a resistant attitude to starting art and design. Coming under the false guise of “I’m just not talented”, this is a lazy way out. Granted some artists start a bit better than others due to a whole range of unknown variables. However, everyone starts somewhere at the bottom. Just like riding a bike, you have to practice and practice. You have to increase your mileage and experience. It’s a process, you can’t just start good. What are the biggest challenges or mistakes you see people making? Thanks for these awesome tips Lucy! I hope that everyone finds something useful from these. It’s great to have your thoughts and perspective given your growth and experience so far in your field. About the interviewer: Ninichi is a freelance indie game music composer who enjoys creating soundtracks for video games, film & media. She's composes in a wide range of styles & loves supporting indie game developers and indie filmmakers with their projects. Find out more about her game music or royalty free music and contact her to discuss your project and music needs. Hello I’m Ninichi, a game music composer, and I run this blog (check out the blog homepage to browse more articles)! 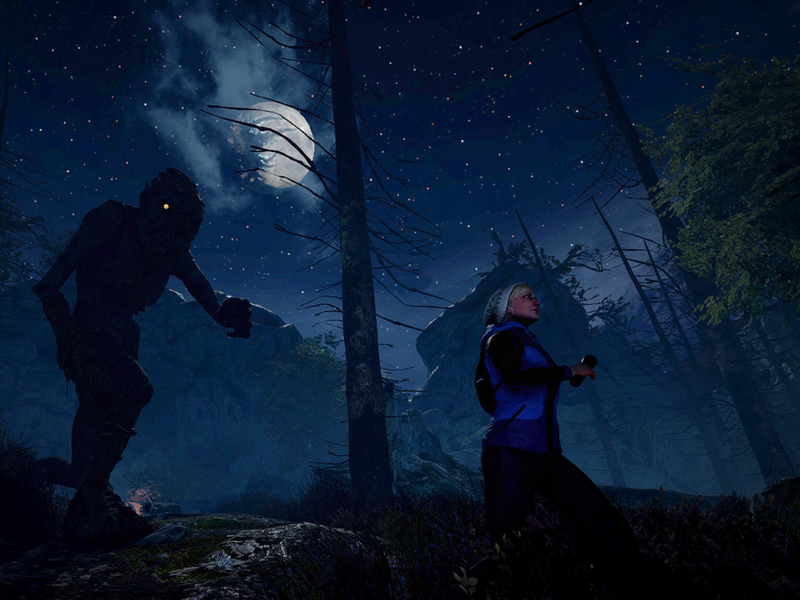 ‘I worked full time on the Norse horror game called Through the Woods, which released in 2016 and I co-designed and released a mobile VR game with my new company, Corvid Studio, for NRK, Norway’s national broadcaster, (like Norway’s BBC) which was a very exciting project for us. Other released games include an educational reading game called Poio (the Norwegian and Swedish versions) and a small game called Deflector, which I created with my friend Thomas (available on itch.io). What are your best top 5 tips for fellow indie game developers? For example, what do you wish you knew before you started and/or what are some of the trickiest things you’ve had to learn or overcome? 1. Make sure you’re making games for the right reasons. I think it’s common knowledge that more games fail financially than succeed. I don’t have the figures, but I suppose it’s the same kind of thing with writers and bands. Success is rare and very hard to achieve. A game failing to sell or find an audience, almost by definition, is something you don’t hear much about. So if you’re making indie games because you want to be rich, you would be much better off getting a job at a company with a salary. It’s a balancing act. Ideally you should make sure you can make a game without putting yourself into too much financial jeopardy. You hear about teams that quit their jobs, use all their money and remortgage their houses to pay for their game and their game becomes a huge success, but this is not normal or likely. So be careful and be sensible. 2. Being helpful and nice will pay dividends in the long run. 3. Write blogs and post-mortems about things you’ve learned. ‘This also comes under being helpful, I guess. I used to do this a lot at Antagonist but struggle to find the time now. I wrote a couple of pieces that got featured on Gamasutra about our Kickstarter and our first trip to GDC, etc. You don’t have to be a pro, you only need to have done something one more time than someone else for you to be able to potentially help them a lot. 4. Learn a little about marketing and social media. ‘It’s hard to know what will work for your game and the road to success will be different for every title. It’s never too early to try to start to get an understanding of what makes people interested in a certain post and the psychology of what makes people want to share your posts, for example. People like to share things that make them seem funny or clever, or if they think something might be useful to others. Posts with images often get shared more than those without. That’s oversimplified, but it’s basically what often happens to get the ball rolling. It’s hard to make every tweet or Facebook post work this way. I’ve tweeted about releasing a soundtrack on Bandcamp and no one really cared. I’ve tweeted an image once of my first little pixel art person and it got a lot of attention. I’m not an artist, but it’s a nice image and I guess people thought it was fun that it was my first attempt at something. 5. Try for a marathon, not a sprint. ‘Games often take a long time to make and development can be incredibly taxing in terms of health, motivation and family life. Burnout is common. 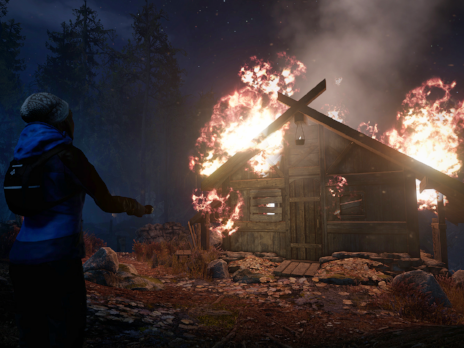 I personally was at the point of burnout in the run up to the release of Through the Woods, where I was trying to manage everything, finish and implement the audio and dialogue, write the story and deal with publishers. I also bought a house and had a baby! I felt like I wasn’t in control of anything and that I was being pulled in ten directions at once and there wasn’t enough of me to go around. It was essentially an extended period of crunch for all of us with too few employees to do the necessary jobs. In a perfect world, development would be like a steady walk and things like milestones and costs should be meticulously planned. Someone should be responsible for making sure that the team can hit those milestones at a steady pace, without subjecting people to overly long hours. Bad planning can ruin all motivation and enthusiasm. If you don’t absolutely have to, try to avoid painting yourself into a corner by announcing a too-ambitious release date, or revealing it too early. Lots of studios I know of don’t build enough time in the cycle for proper testing or for console certification, etc. This can lead to unhealthy crunch, or, if you end up having to delay, often you lose in terms of goodwill, enthusiasm and momentum from staff, fans and press. What final tip can you offer that you think will really help a fellow indie game developer? ‘I’m almost out of sage advice, but have fun and challenge yourself! Really, if you don’t love what you’re doing, there are probably other things you could do with similar skills. If you’re developing a game, at some point you may be wondering whether or not to invest in a custom game music soundtrack and whether to hire a game music composer to work with or not. One big question that I’m sure is on your mind, is how much will it all cost? How much do indie game music composers charge typically? Unfortunately this isn’t a simple question to answer since every composer is different. However, as a freelance indie game music composer myself (learn more about me! ), I can try to give you an overview of what sort of rates you may come across and to help you understand where some of the pricing structures and costs may come from. What kind of composer rates can you expect? Across the whole industry, you will probably find a big range in prices offered by various composers. From what I’ve seen that range can stretch anywhere between $50 all the way up to $2500 per minute of music, with hobbyists, part-timers at the lower end and 'stars' at the top end. For indie game music composers with a fair amount of experience and a decent credit list, most will tend to have prices within the range of $200-$1000 per minute of music. The more experienced and in demand a composer is, the higher they are likely to charge for their music and time. Some will charge per minute of music, whilst others will charge per track or will quote you for the project as a whole, and some will charge for their time like any other contractor / freelancer may i.e. per hour of work. Most composers will have some flexibility and be happy to negotiate their fee with you but at the same time, they will have their usual rates that they tend to work with and so are unlikely to stray massively from their original quotes. This goes for me as well. If you'd like to work with me on a project but aren't sure about the fees / financial side, just drop me a message, give me an indication of what sort of budget you have to work with, and we'll see if we can work something out! If you're hoping to work with a big name in the industry then definitely expect rates to be higher. They will be in demand, their time is precious and they can afford to carefully select the projects that they wish to work on and those that they wish to reject. Do some composers work for free? If you're expecting people to work for free or for 'exposure', then beware who you approach in this manner. Hobbyists, enthusiasts and those starting out may well be prepared to create a game music soundtrack for you for little or no pay, in exchange for the experience and as a way to build up their credit list and portfolio. This can be a great option if you have the time to nurture them and to work closely with them to ensure you get music you're happy with. However, if you're looking to work with a professional composer, do keep in mind that this is their profession and hence their skills, talent and time all holds a value which you must be willing to invest in and to pay for if you are keen to work with them and build a strong working relationship with them. Read 6 Ways to Pay a Game Music Composer. What contributes to the wide range in pricing? And those are just for starters! So depending on what you’re looking for and where you’re looking for it, the quotes you get may vary quite a bit. Now, how much should you be prepared to spend on your game music soundtrack? Well, only you can really answer that and only you will know what your financial situation is and also how important you feel the music is for your particular game. Music can really help to bring all the main elements in a game together and to enhance the overall experience for the player. See my article on 5 Reasons to Invest in Great Game Music. As I'm sure you can imagine, large AAA games and films have big budgets (i.e. in the several tens or hundreds of thousands of dollars) when it comes to music. Many are scored similarly to films, using large orchestras and big epic scores and thus - this is no simple or cheap endeavour. For indie games there is a much wider range in what indie game studios and indie game developers tend to spend on music. Those will small budgets tend to go for royalty free music (also known as stock music / library music / production music or copyright free music). This can certainly be a way forward for you if you’re starting out and aren’t ready to invest in custom music. Check out my royalty free music options here. However, those with budgets of usually between $1000-$10,000 are more common for indie games seeking a custom music soundtrack and wanting to hire a composer. There are many different things to think about and also many elements that you can play around with to help you get the most out of your music funds. If you choose a composer who’s music you really love and who you trust, you will often find that your game music tracks don’t need to be as long as you think they need to be. An experienced composer will know how to sustain interest in their music even if the tracks are short. So, if they charge per minute, you can reduce costs by reducing the length of your tracks. Composers with more experience will usually take up much less of your time than someone earlier on in their career. They shouldn’t require any handholding and should be accustomed to delivering high quality work straight away. So, although they may feel a bit more pricey, they can save you precious time which in some ways can be priceless! Communication is key. Make sure that you work with someone who understands you and that you understand too. Knowing that you can easily communicate with a composer will make you feel more confident in your working relationship. So, to sum up, there is no one fixed rate that indie game music composers all work to, however, most will be willing to talk to you about your budget and to explore ways of making things work for you. If you take a look at my credit list, you’ll see that I’ve worked on a real range of indie games, indie films and other projects, which each had different needs music-wise and budgets to work with. We found a way to make it work and to create soundtracks that everyone is super happy with – so keep an open mind, explore your options and talk – I mean really talk, to the composer(s) you want to work with. If you feel like exploring things further - contact me now. About the author: Ninichi is a freelance indie game music composer who enjoys creating soundtracks for video games, film & media. She's composes in a wide range of styles & loves supporting indie game developers and indie filmmakers with their projects. 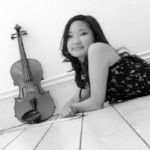 Find out more about her game music or royalty free music and contact her to discuss your project and music needs. It is so easy for anyone keen to succeed in any industry and/or in any job, or working on any project of significance, to burn out – but we must do all that we can to prevent this. After having connected with various indie game developers (often supporting them with their game music), I’ve discovered that there are many challenges that one faces in the game development journey. Have you been wondering whether or not to get a publisher for your indie game? 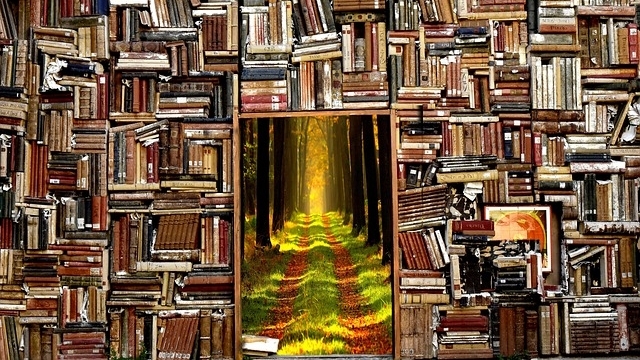 It’s not always obvious whether it’s best to seek a publisher or to go it alone, but if you are looking then there certainly are many options open to you. You don’t need to decide now whether or not you want to publish your game yourself or not, but it’s always useful I think, to explore the possibilities. Unfortunately, I don’t have any direct experience with any of these companies, however, I’ve worked with many indie game developers supporting them with the music to their games (I’m a game music composer, find out more about me if you want to), and I run this blog with the aim of hopefully offering some useful resources, tips and advice that can help the indie developer community along what is often a very challenging journey! Here's my article on 11 Places to Publish and Release Your Indie Game, for those of you wanting to publish your game yourself. Curve Digital was set up in 2013 and now claims to be one of the leading publishers of games on PC and consoles. They offer development funding, internal production, PR and marketing support. In 2017 they were the ‘Publishing Hero’ at the Develop Industry Excellence Awards. Ukuza is a publisher focused on bringing the best indie games to market. They’re a team of creative and marketers who are ex-Microsoft & ex-Amazon and they’re ready to hear all about your game! Devolver Digital offers digital distribution and marketing support for indie videogames and films. It’s a fairly well known indie game publisher and so it’s definitely one to take a look at. Indie Fund is a funding source for indie developers. It’s an alternative to the standard publisher funding model and has been designed to support indie developers to create amazing games and to grow financially independent. Midnight City provides promotional, production and business services and support for independent game developers. Serenity Forge is a game development studio with a publishing arm and wealth of other services dedicated to supporting indie developers with their game projects. Noodlecake Studios is a small indie game studio founded in 2011 and based in Saskatoon, Canada. They make their own games but have also expanded into publishing and help to bring other developers’ games to market. They’re best known for iOS & Android games but are also interested in releasing games across all other platforms too. Versus Evil is a video game publisher focusing purely on publishing indie games. They publish across all major mobile, PC and next generation consoles and have worked with indie studios around the world. They offer a suite of services to support the indie games they publish, from marketing, PR, influencer outreach, social media, community, QA, localisation and development services to reach other platforms. Mode 7 was founded in 2005 and is an indie game development and publishing company based in Oxford, UK. They’ve been a publisher since 2016 and can offer support across a range of different areas including funding, PR and marketing, production / scheduling, game design, community management, business development, platform holder relationships, tech, porting and more. Humble Bundle has a publishing arm, which can help you with indie game. You can connect with their 12 million customers, own your IP, get help with marketing and PR, leverage the Humble Bundle brand, get help with financing and more. Surprise Attack Games is an independent games label focusing on games that bring something new or different to the table. They’re based in Australia and were created in 2013. They offer a full publishing team providing expertise and resources to the games they develop. They don’t own any share of the IP and state that the game developer always has the final say. Headup Games has released over 100 titles since being established in 2009. They’re a hybrid games publishing and development company, always on the look out for new games to get involved with. tinyBuild helps indie developers to publish their games across a multitude of platforms, releasing games onto Steam, Xbox One, PS4, 3DS, VR, iOS and Google Play. They’ve been doing this since 2013 and offer support with funding, knowledge, production, artwork, guidance and more. Steak Steak is a full service indie game publishing company offering support at all stages of your game development. Whether you need help with trailers, PR, branding, development or anything else, they can help. Whippering offers marketing support and partnering relationship opportunities to indie game developers. They publish independent games and can help with the creation and execution of your marketing strategy from positioning, pitching, PR, social media and more. They can also initiate and manage platform relationships with the likes of Sony, Oculus, Valve, Nintendo, MSFT. About the author: Ninichi is a freelance game music composer and film music composer. She creates music for indie games, films, podcasts, tv shows, commercials and more. 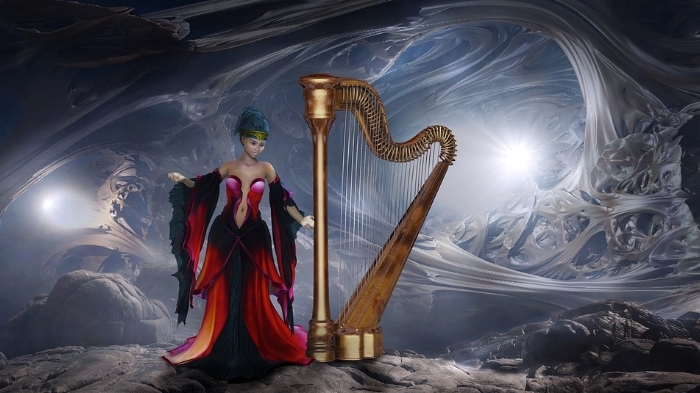 She is an incredibly diverse composer with an extensive credit list to her name. If you'd like help with music for any project, feel free to contact her now.